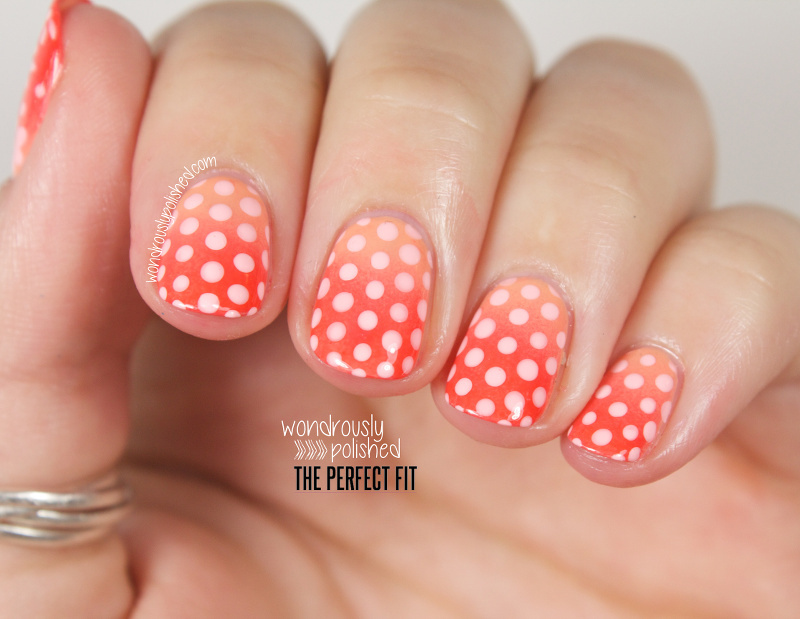 Mani Monday Tutorial - Coral Gradient Dotticure! I was inspired by yet another adorable Deb Shops dress and love that I got to use some of my rarely used coral and orange polishes to do this look. Head to their blog for my full tutorial and feel free to let me know what you think! I think this is more of an entry level tutorial so hopefully that's appealing to more folks. Hello, all! Well, Sunday night is here once again, and all too quickly. I've decided to paint another floral to cheer myself up a bit. I recently purchased the China Glaze City Flourish collection, and while the formula of this collection leaves something to be desired, the colors are so fantastic that I can overlook the issues with the polishes. I've been working a few of the new CG collection polishes into my manis lately (my Beauty Buffs post used all CG polishes!) but I haven't found a way to work the vibrant "Metro Pollen-tin" into anything lately. 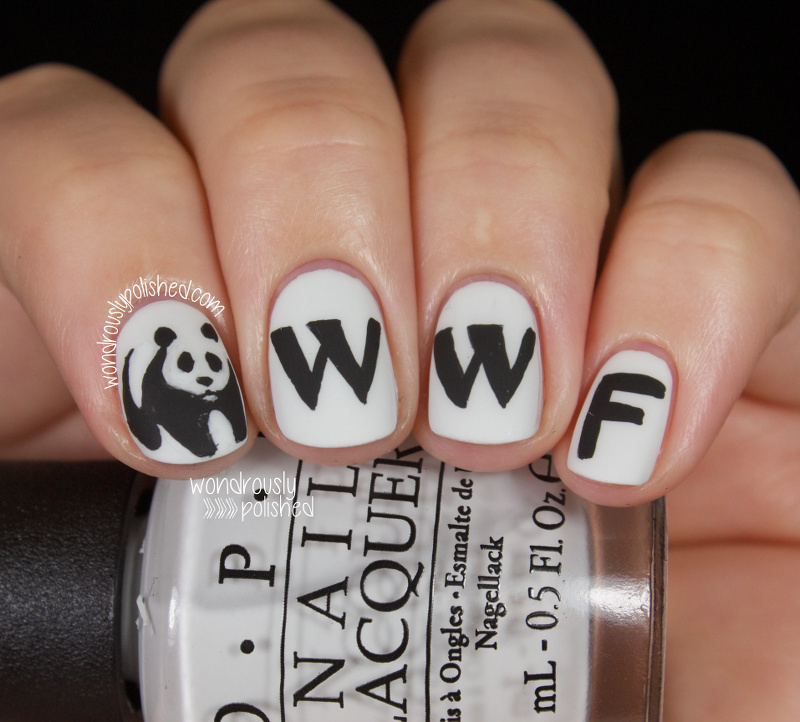 I decided to just paint my nails with it and see where the polish took me! 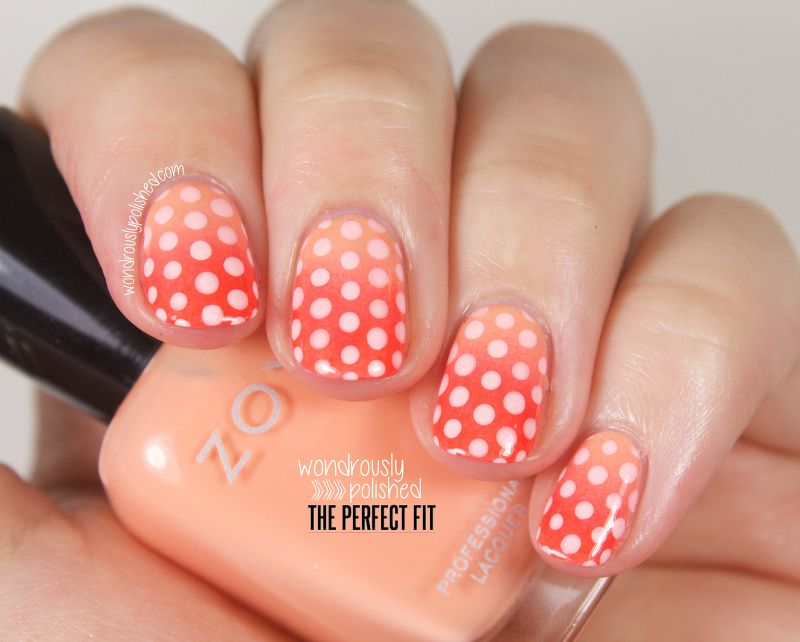 You could say this polish pollenated my nails and created this look! Eh? Eh? ;) Sorry, I only come up with terrible jokes. Bre is also a member of a monthly indie subscription box called "The Glitter Box" and I'm excited to say I'll get to swatch their April box as well! 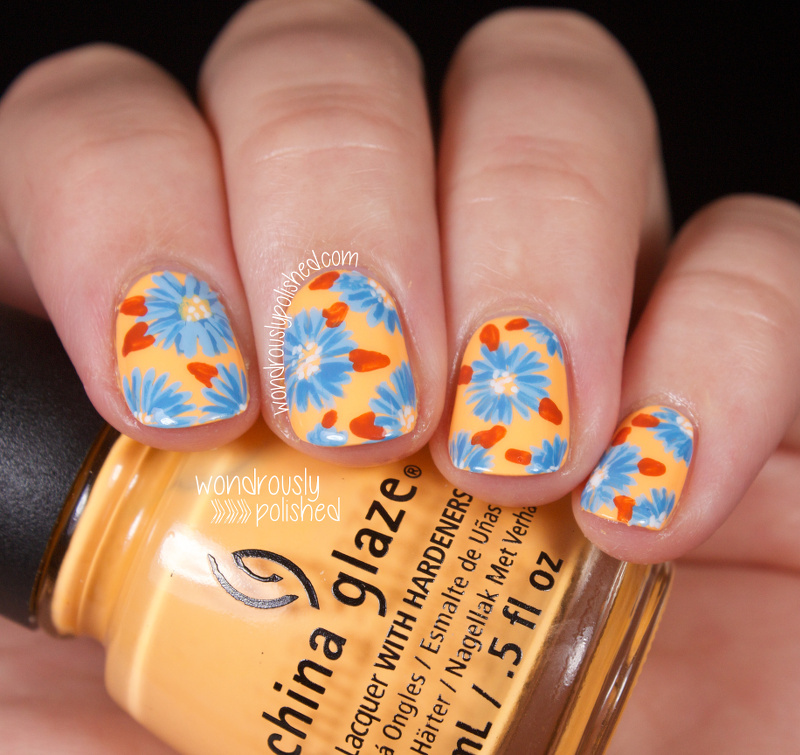 Stay tuned for that and some nail art to accompany the swatches (hopefully)! Hello, all! Today I have some exciting news to share with you all! 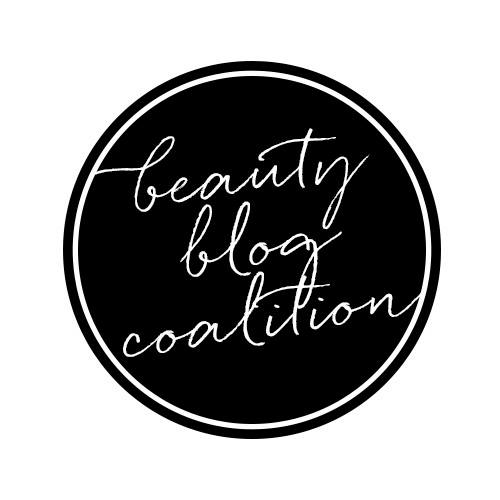 I've teamed up with 17 other fantastically talented ladies from the beauty, nail and fashion blogging world for a collaboration called The Beauty Buffs! 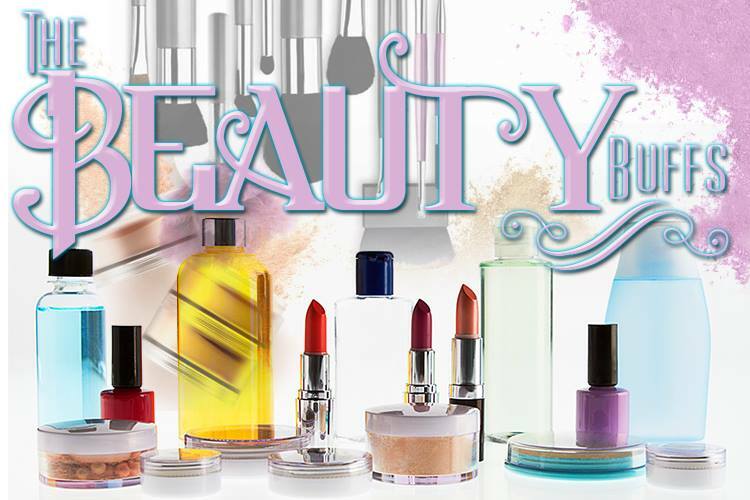 It was put together by one of my Digital Dozen colleagues, Nory from Fierce Makeup and Nails, and every other Wednesday we will each be posting about various trends that are happening. I'm so excited to be apart of this group and I can't wait to see all the talent that these ladies dish up twice a month! Our first trend is Pastels...which I couldn't be happier about! I just love pastels so very much. While I don't know the fashion trends that are ever changing, I always love seeing the trends that occur in the textile and interior design world. There is nothing quite as inspiring to me as an amazingly decorated room that just evokes a wonderful homey feel. On more than one occasion I have been inspired by patterns that I've spotted in a store, magazine or an amazing tumblr image, so for me, all of those things are my trend indicators. Hello, all! Sorry for my hiatus, I've been super busy with work, the gym and a little side project for a friend of mine. 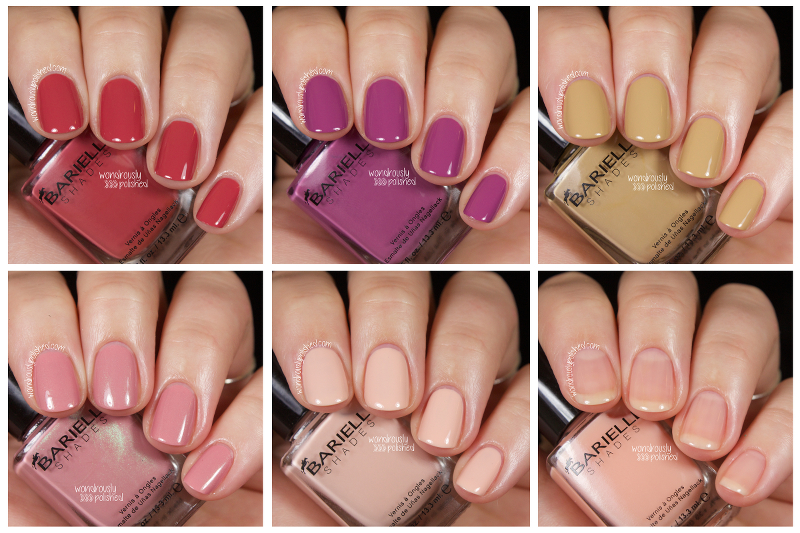 Today I've got the Barielle Vibrants collection for Spring to share with you all! I love these shades so much! They are just what the collection states, vibrant! Most of these were really easy to work with, though the formula in some did leave a little to be desired. Regardless, I love that this is an entire collection of cremes that just make me weak in the knees. Happy Tuesday, all! I have a fun collaboration post to share with you today! My childhood friend, Taryn, from the fashion blog Velvet Sugar, recently asked if I wanted to do a collaboration post with her on one of her recent outfits...and I of course said yes! While I can easily pick an elaborate polish palette and pattern, I cannot dress myself. I do not have a fashionable bone in me. I try. But I fail. That's why I'm so impressed by what Taryn and her sister Rhi are able to piece together and make "work". I would never in a million years think to pair the items they do together and I'm so envious of that ability. Perhaps it's a skill I can hone?? Anyway! Taryn recently grabbed an amazing floral top that she thought I would love to recreate. And she was so right. 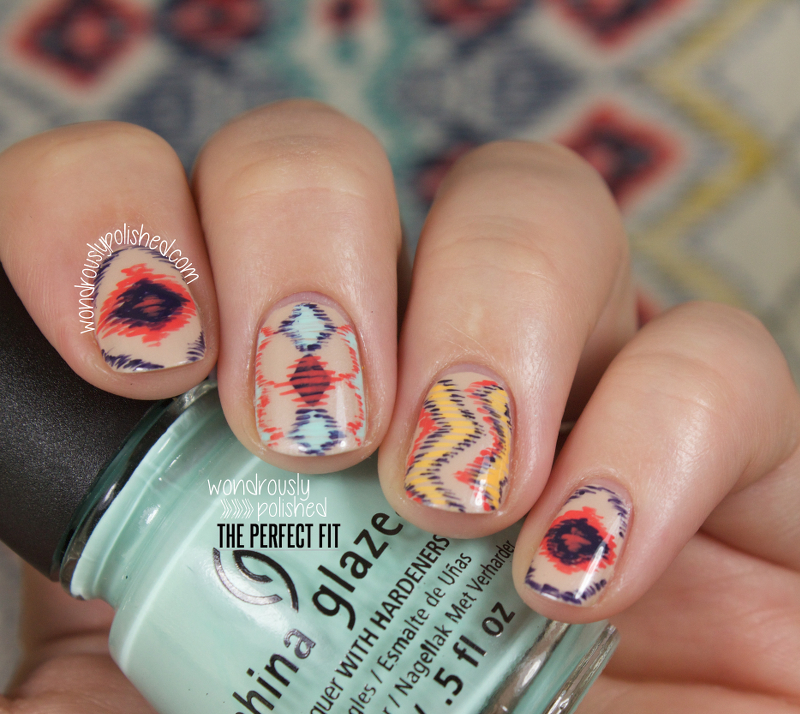 I LOVE this print and I love the mani to go along with it. 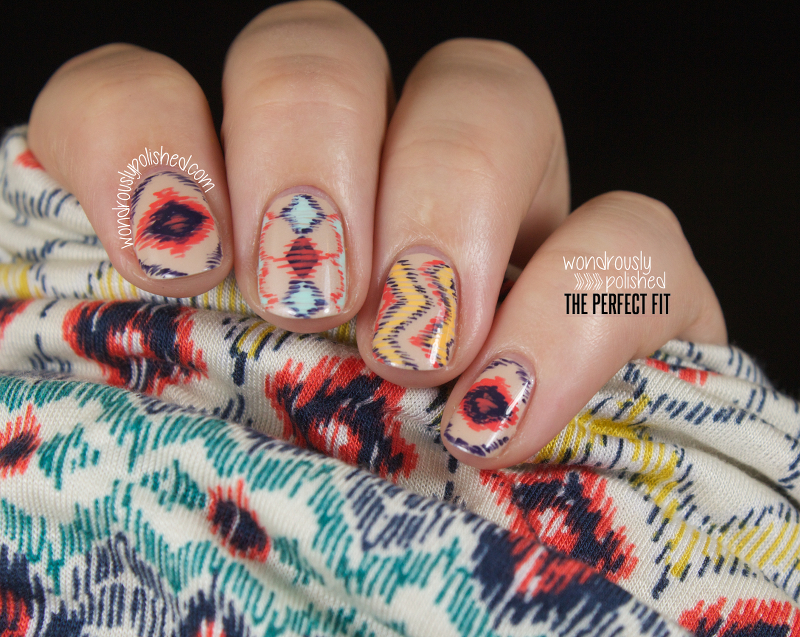 I was inspired by this super cute (and flattering) aztec print shirt. 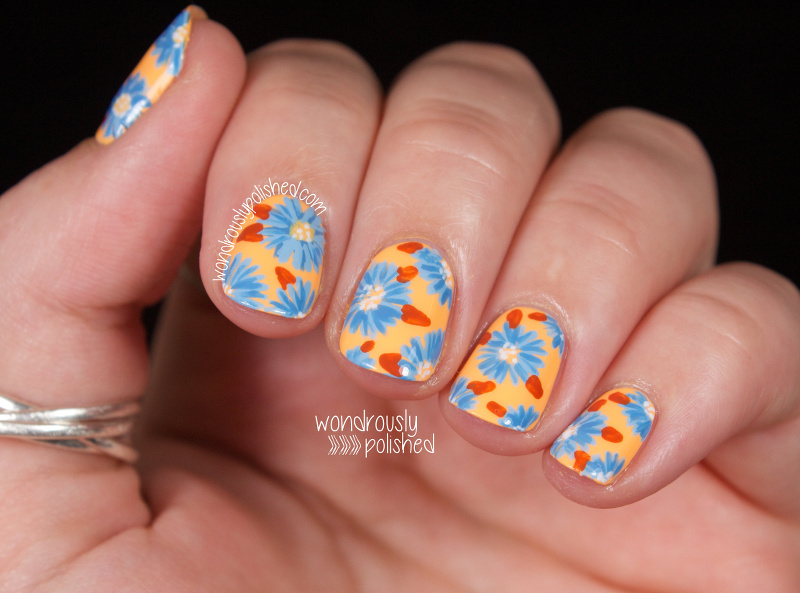 At first I was a bit intimidated by the pattern because I wasn't sure how to break up the print into nail size. 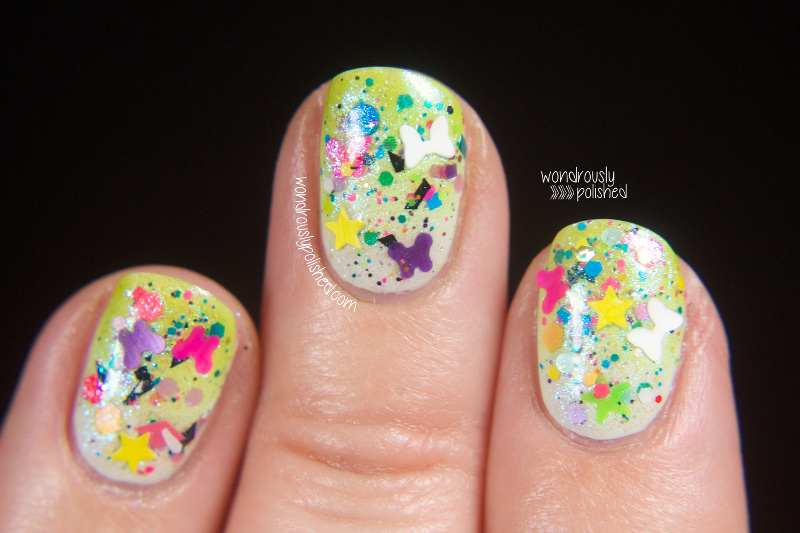 I contemplated doing more of the print on each nail, but in the end, I settled on this funky skittle mani and like how different it is. Hello, all! 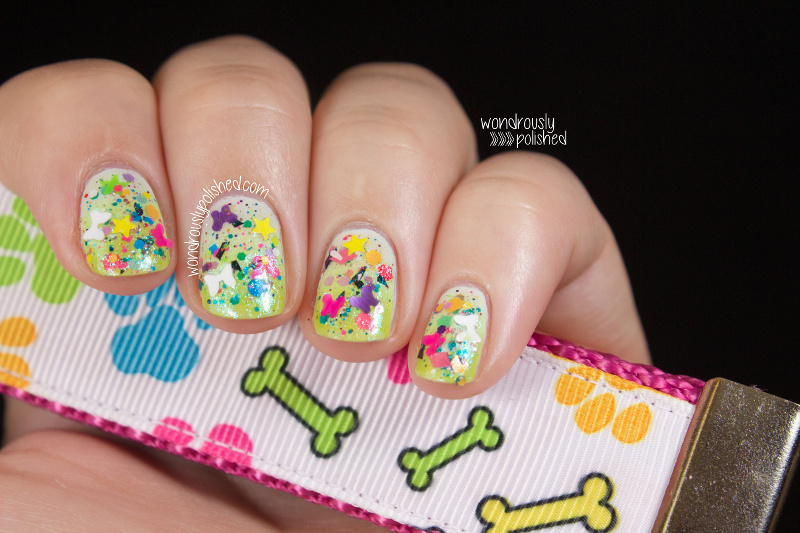 Today I've got some polish for a cause to share with you all :) If you'll recall, last month I worked with Michelle from Laquerlicious to help share one of her Polish for Pit Bull polishes (V-Day = D-Day). Michelle donates a majority of the proceeds from these polish sales to the Fresno Bully Rescue and I think it's such an awesome cause. I was very excited to hear that her last polish did so well, she's done another one this month! This time around she's partnered with Brittany from The EmPURRium, who makes adorable handmade collars, leashes and key FOBs. With spring right around the corner, these ladies teamed up to create a fun and bright spring polish (Spring Fling) and a super cute key FOB! Hallelujah, it's Friday! This week was so incredibly long! But, we've made it to the end of the Digital Dozen Brands week! 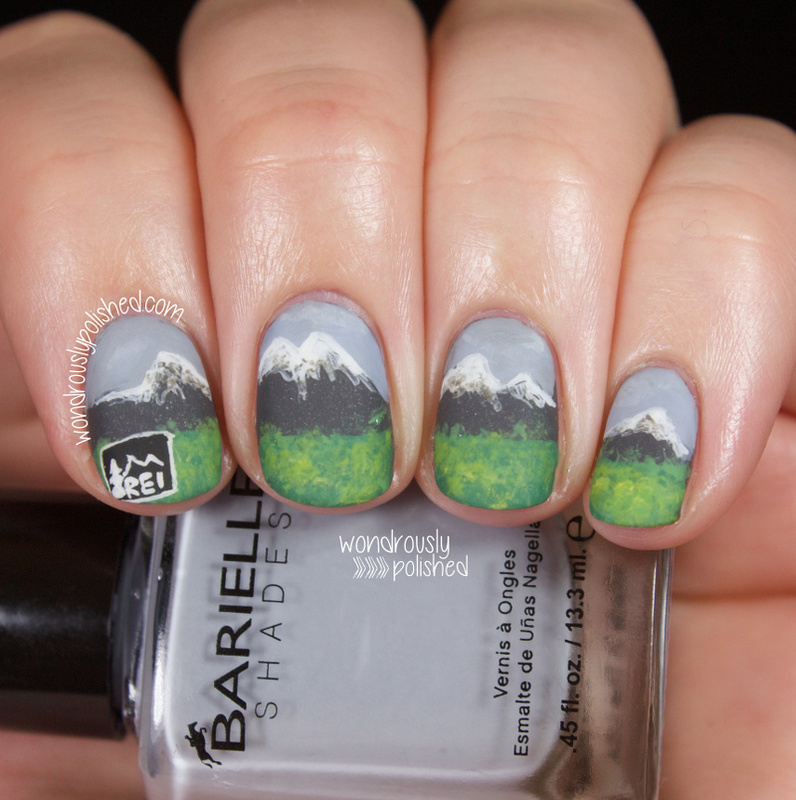 For my final day, I've done some REI nail art! So what is REI? REI (Recreational Equipment, Inc) is one of my favorite stores and brands for when I'm off on a new outdoor adventure! They sell all manner of camping and outdoor equipment and supplies and I can easily spend hundreds of dollars there in no time flat. I love to camp, so I can get lost in stores like this for hours. I also appreciate that REI is a sustainable company and have a great rewards program. It's pretty easy to love them. Whew! We've made it half way through the week! I'm so glad that I was able to get a bunch of manis done on Sunday because this week has felt like 3 weeks. It's been brutal. On Sunday I contemplated holding off on this mani because I had already done 3 that day and I was tired, but I pushed myself to go for it and I'm glad I did. 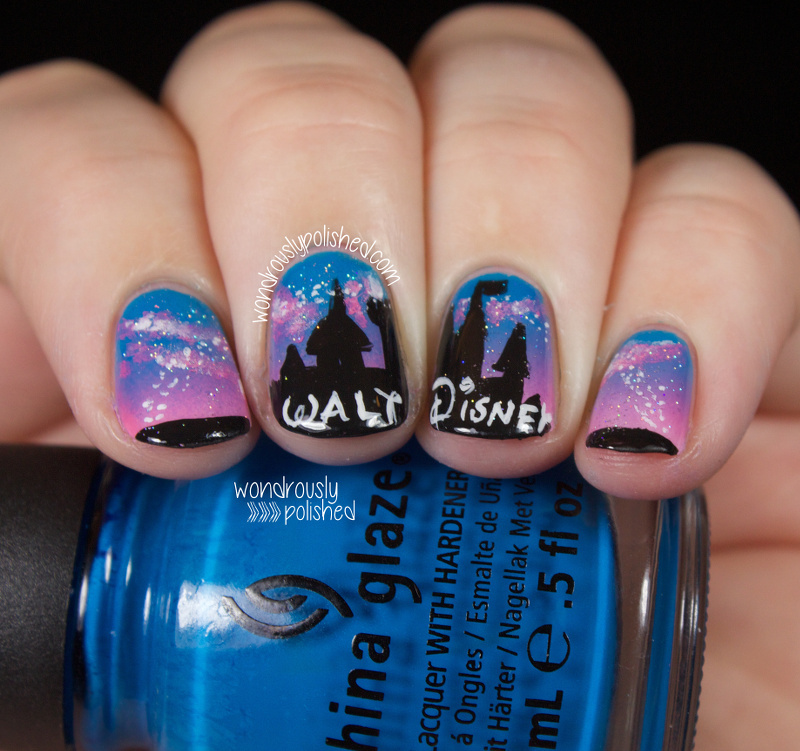 With that, day 4 of Digital Dozen brands week is Disney! A few of my fellow DD members actually ended up doing Disney this week as well and they've done fantastic jobs. It's pretty cool that of all the brands out there, so many of our members ended up doing this. Living in California, Disney has always been a part of my life. I loved all their movies growing up and watched Beauty and the Beast more times than my Dad would like to recount. I remember being surprised by my parents when they took my sister and I there. I will never forget waking up hearing my sister say something to the effect of "Why are we on Disneyland Docter? "...and know-it-all big sister that I was, I immediatley corrected her and said "It's Disneyland Drive! Gosh! "....and then the lightbulb went on and I realized where we were haha amazing day and Disneyland has provided many a great memory since then. Instead of the iconic Mickey Mouse ears, I decided to go a slightly different route and ended up painting the intro image that shows before all of the Disney films. The one with the castle and Tinker Bell flies over sprinkling her fairy dust? Yeah, that one! 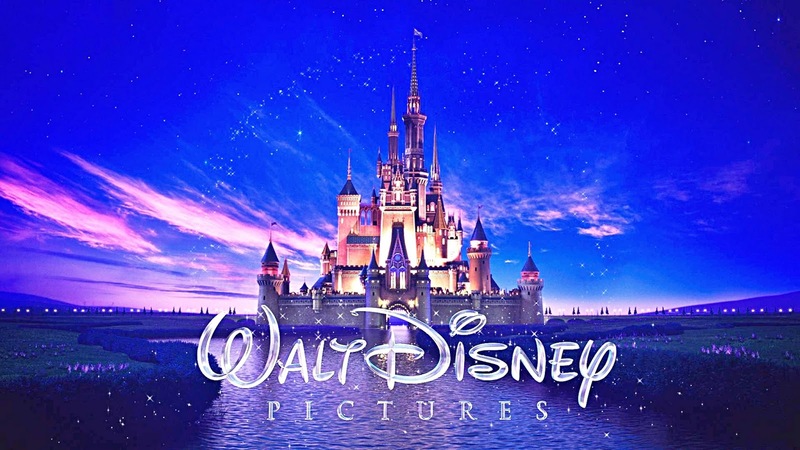 :D Over the years this logo has been updated and I decided to go with a more recent version because I've been obsessed with the recent Disney movies (Tangled and Frozen, anyone??). I can't tell you how nice it is to not be panicking and trying to figure out what to do for the next day of this Digital Dozen Brands challenge! I've only got to come up with one more for Friday and I feel so proud of myself for being on top of things! 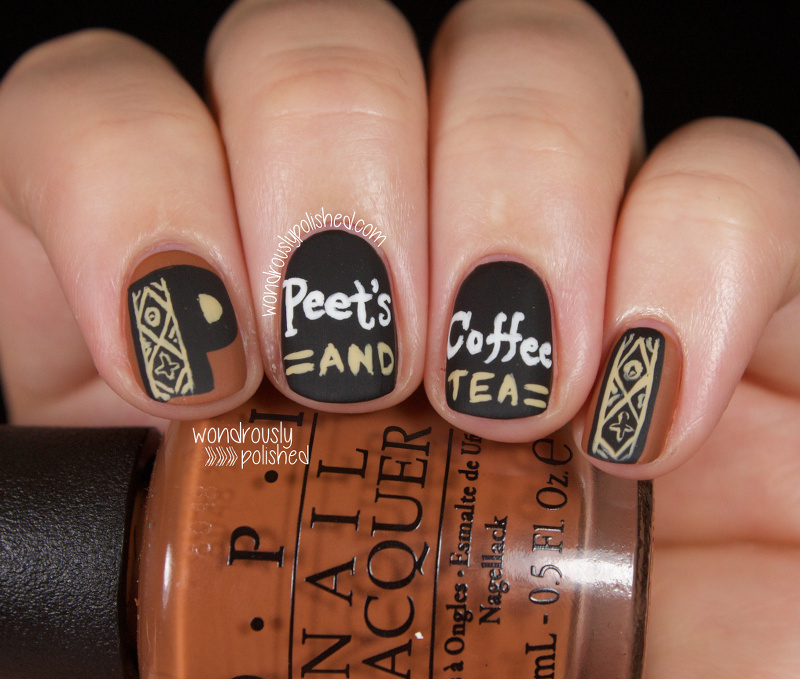 I'm pretty exhausted from the day light savings change Sunday so I'll keep this short and sweet :) Tonight's brand is Peet's Coffee and Tea! They're one of my favorite coffee brands (I NEED my coffee. I try to limit it, but I'm a zombie without it). 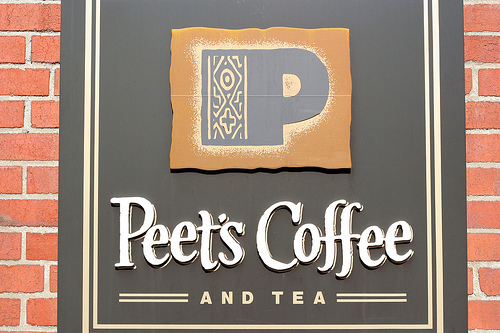 I think Peet's as a company is pretty conscious of their global impact and try to use sustainable practices and focus energies on fair trade products. 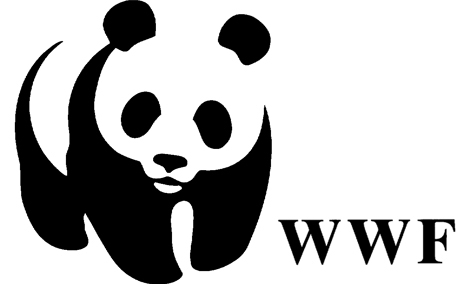 On top of that, I love their simple and different logo! 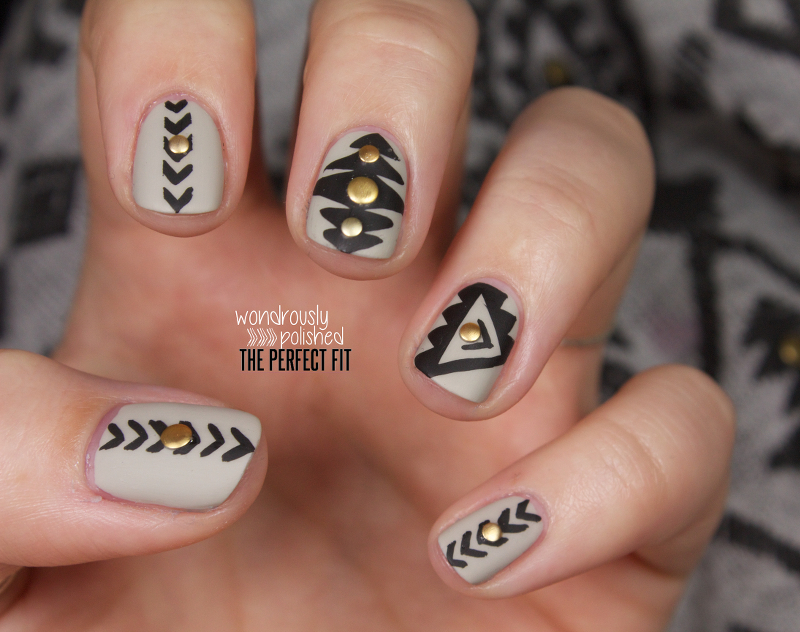 I mean, tribal print?? Yes, please! Hello, all! I can't believe it, but another Digital Dozen week is upon us once again! It's always astounding to me how quickly these arrive each month. At the beginning of the day Sunday, I had no clue what I was going to do for this week. At the end of the day Sunday? I had 4 manis done! I know, the queen of procrastination has lost her mind and some how managed to get a ton of stuff done super early. This week's theme is "Brands" which I was really unsure on at first. I felt weird about basically providing advertisement (if you will) of a brand or company and I wasn't sure I would be able to get into the theme. I started thinking on companies that I respected and enjoyed and decided that I would only do manis inspired by those. 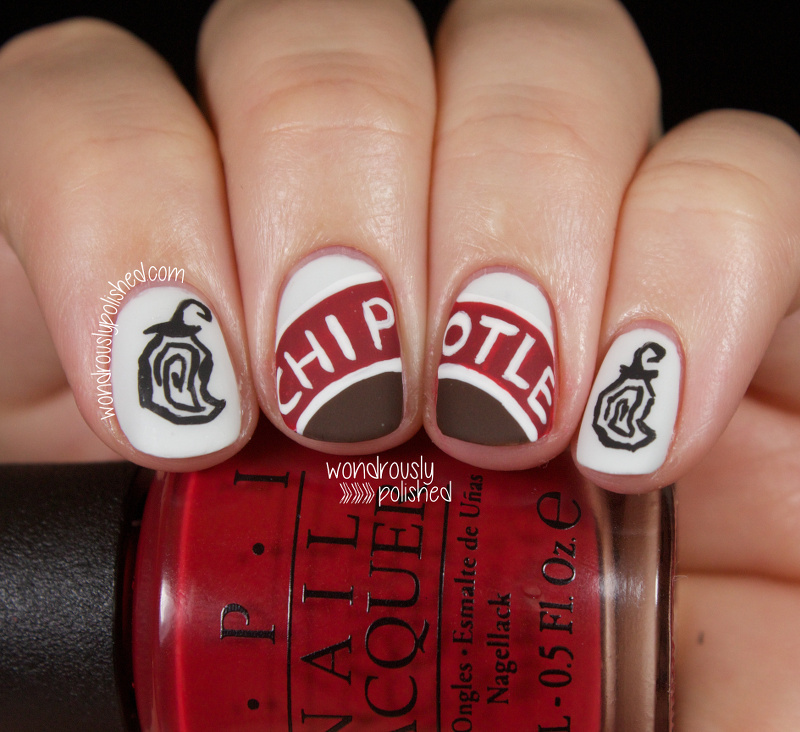 One such company is Chipotle. 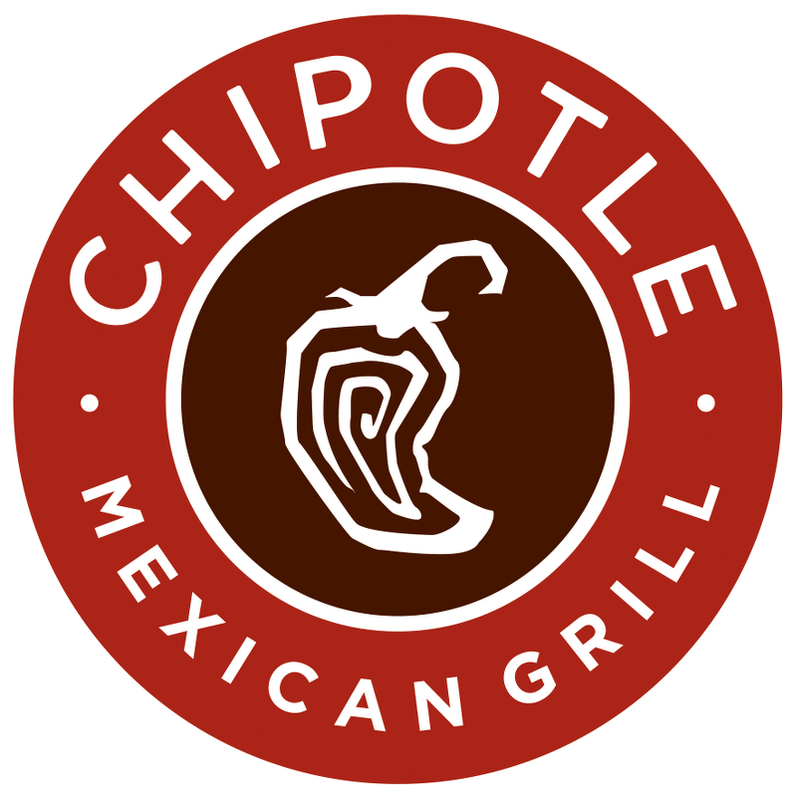 For those who don't know, Chipotle is a fast food Mexican restaurant that is all about sustainability. Everything from their food sources to their decor is sustainable and their food is top notch. I also had this for lunch yesterday so I had it on my mind a bit ;) I really love their simple logo and feel good about sporting it across my fingers for day one. Happy Saturday everyone! I'm finally starting to feel human again after being sick for over a week. I've also been working out pretty regularly and I'm feeling pretty proud of myself for that. 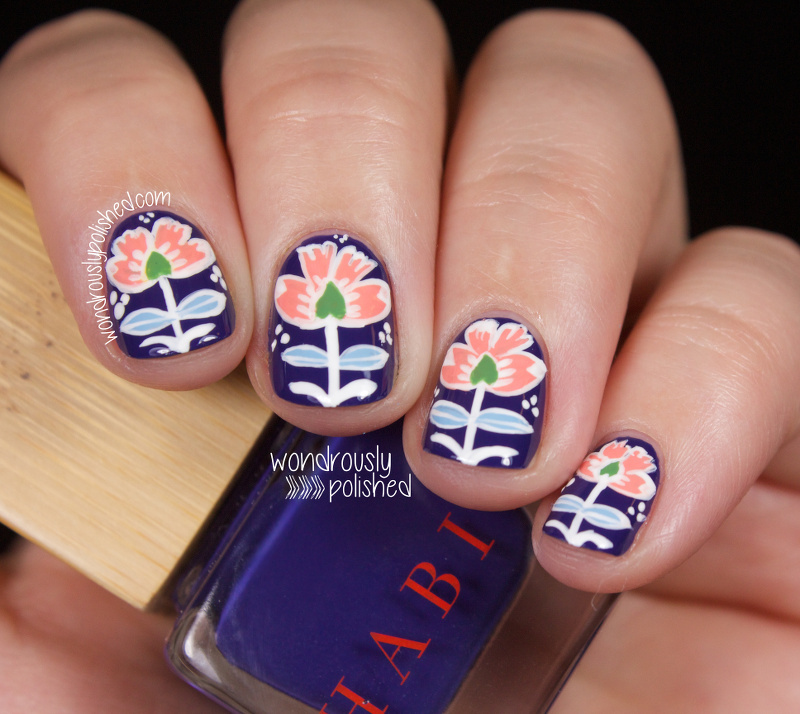 Today I have the first half of the Barielle Spring collection to share with you all! I mentioned awhile back that I was recently chosen to be one of Barielle's bloggers and I was so incredibly excited when I received these beauties in the mail. The first half of the collection is the Velvets collection - shades in "soft, romantic and dreamy colors that are warm yet rich and feminine." Um, yes please! The best part about this collection is that almost all of these shares are cremes which just makes me so incredibly happy. There is nothing better than a fantastic creme! Makes my heart happy! Hello, All! Sorry I've been MIA. I got sick and it hit me hard. Never a fun day when you're too sick to even consider doing nail art. But today I've got a fun post to share with you all! I've swatched the latest collection from The Glitter Box! If you haven't heard of it, The Glitter Box is a monthly polish box that contains 3-4 custom indie nail polishes, each following a specific theme. Each month includes custom polishes from Fat Lacquers, The Juice Box Lacquer, and Kawaii Nail Lacquer with the occasional guest indie maker. This month is Michelle from Laquerlicious. Since St. Patrick's Day is this month, they chose the theme "Lucky Charms" and it's definitely a festive and fun collection. 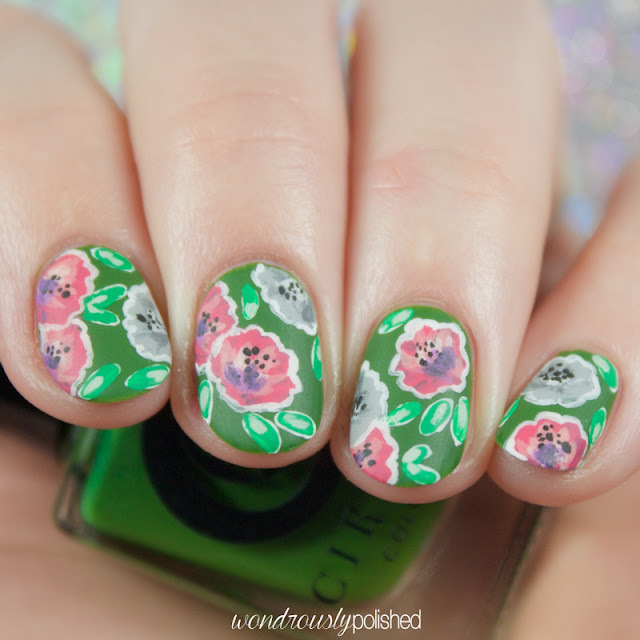 For the first time in a review, I've also decided/tried to included nail art to go along with each polish! 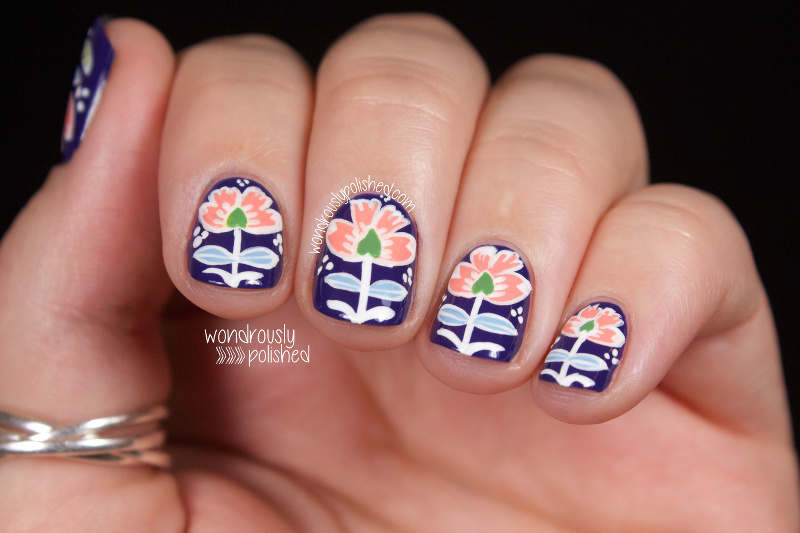 I was inspired by the name of each polish and it was actually pretty fun to come up with some quick and easy art. Pots of Gold & Rainbows is a grey holo with some gold flakies and is really pretty in a subtle way. This is the first Fat Lacquer polish I've tried and was pleased with the application. Shown is 3 thin coats (though I probably could have gotten away with 2) with a top coat. Happy Saturday, all! Sorry for my gap in posts lately! Because of the boyfriend's work schedule, I don't see him from Saturday/Sunday to Wednesday night. This typically means that I'll post Sunday-Tuesday and then I disappear for a few days so I can catch up with him for a few days. I usually try to get a mani in here and there during his days off, but this week I ended up catching some sort of sickness and have just been feeling lousy all weekend.